What Does it Mean to be a BCMS Cheerleader? Cheerleading combines leadership, athleticism, and the drive to motivate others to do their personal best, both on and off the court. Cheerleaders lead by example, work well with others, critique not criticize, and strive to be the best leader that they can be. Cheerleaders assume responsibility for meeting deadlines and accepting the consequences when deadlines are not met. Congratulations to the following numbers for making the BCMS cheer team! 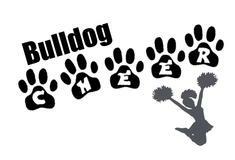 There will be a mandatory parent meeting in the BCMS gym on Thursday, 8/16/18 at 5:15 pm. Competitionon on 2/23! Great job, ladies!